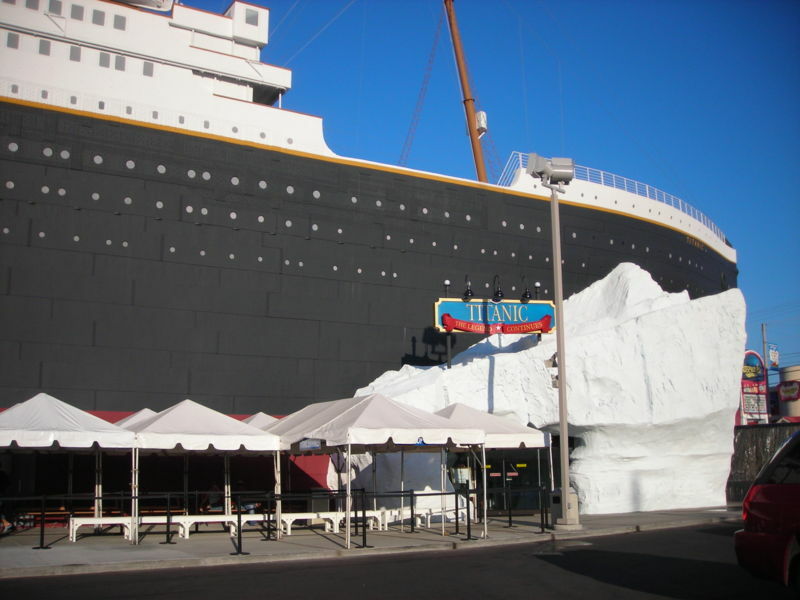 A permanent two story museum shaped like the historic Titanic, this attraction is located on Country Road 76 in Branson, Missouri. 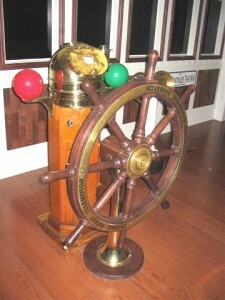 Built to 1/2 scale of the original RMS Titanic. Anchored in water to give the illusion of the Titanic at sea, the museum offers a 90 minute self-guided tour to give the guests a feeling of what it would have been like as a passenger on the vessel. In business since 2006, the attraction supplies each guest with a boarding ticket with the name and information of an actual passenger aboard the 1912 maiden voyage. The ticket tells the story of the passenger and includes information such as the class they were traveling in and whether or not the individual survived the sinking of the Titanic. 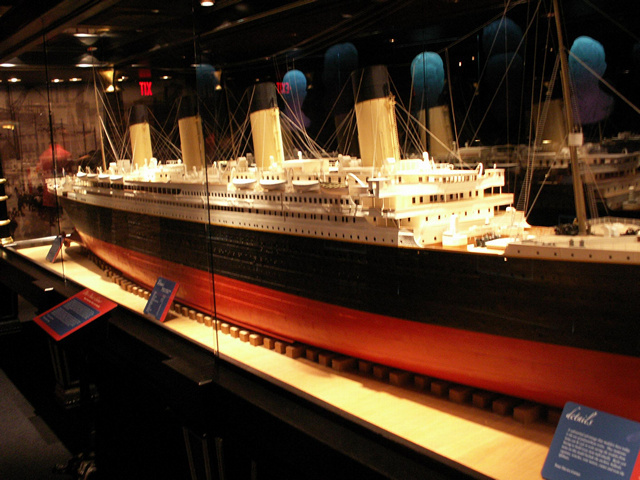 Some of the exhibits on the tour include a replica of the Titanic’s grand staircase, interactive children’s area, iceberg exhibit, third class replica, 18 foot Titanic model, Titanic movie exhibit, interactive bridge area, launch and shipyard, and first and third class replicas. 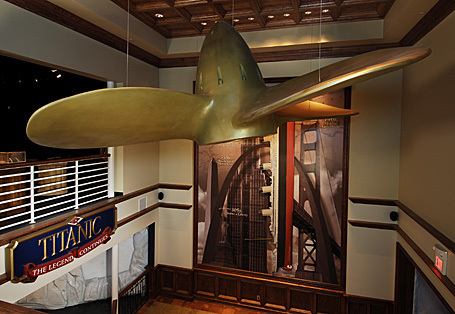 The first step in the tour brings the visitor to the Titanic attraction lobby. With boarding pass in hand, the guest becomes immersed in the drama that was the sinking of the ship. Images and pieces of the vessel surround the guest and the tour has officially begun. Next on the tour is the amazing 18 foot Titanic model crafted by German designer Peter Davies-Garner. Created specifically for the museum, the model was crafted using the original design and drawings created by the Harland and Wolff shipyard in Belfast, Ireland. Newly added to the museum is an attraction featuring the only animal guests aboard the Titanic; two Cavalier King Charles Spaniels by the name of Carter and Molly. 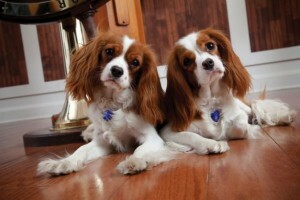 The attraction offers interesting facts about the animals and is open to the public everyday from 9am to 5pm. 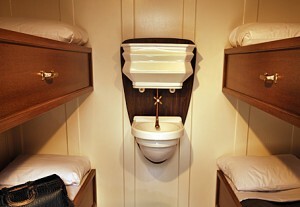 Guests then arrive at an exact replica of a third class cabin to see what it would have been like for passengers with less economic means. See how many people shared a room and learn interesting facts about the suite including how much it would cost in reference to today’s currency. Built from the the original prints, the next attraction is the famous grand staircase. 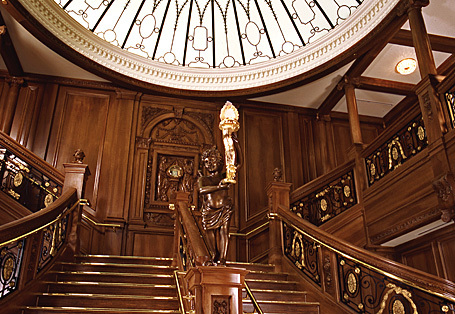 This handcrafted staircase cost the museum over $1 million to construct and leads to the central area where wealthy passengers socialized before dinner. 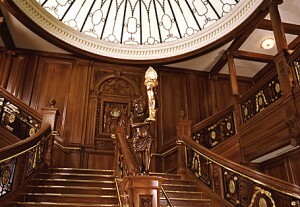 Guests are able to walk the staircase and get a feel of what it meant to be a first class passenger on the most luxurious cruise vessel of the period. Recreation of the first class lounge highlights the elegance of the vessel and supplies guests with interesting facts about what it meant to travel first class. The tour comes complete with stories from first class passengers. 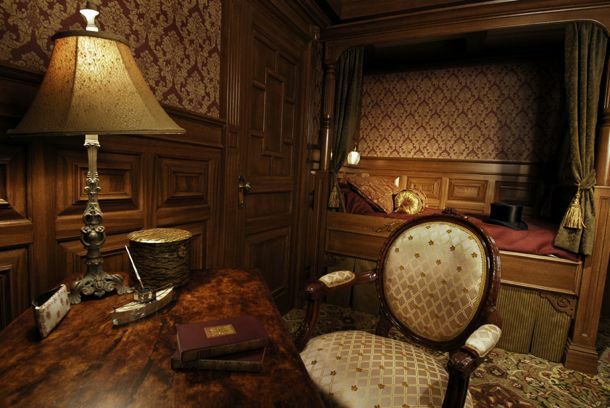 Next stop is the bridge room where guests can steer the ship and see the sights right before the Titanic struck the iceberg. Learn about the maiden voyage of the vessel as well as the facts leading up to the deadly collision. 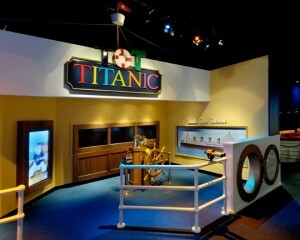 Titanic Interactive Children’s Displays; 28 degree water! Interactive children’s displays allow you and your family to hear survivor stories while sitting in a lifeboat, and offer a play area for your kids who are able to climb the deck of the Titanic as she began to sink. Other attractions include a display of 28 degree water (you can dip your hand in!) which was the temperature of the surrounding ocean that many unfortunate passengers were subjected to and also learn how to send and SOS signals. 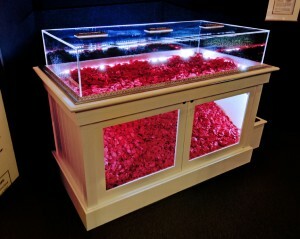 Guests near the end of the tour are able to honor those who died in the Titanic disaster by being given an actual rose petal that will be placed into a memorial case. The petals will be spread throughout the Atlantic ocean at the exact site of the sinking of the Titanic on April 10, 2012 by the United States Coast Guard International Ice Patrol. 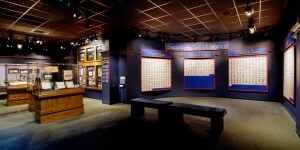 The Titanic museum in Branson offers guests a unique glimpse into what happened to the 712 survivors after arriving in New York. Wall stories depict the events of the lives of the survivors following the sinking of the ship. 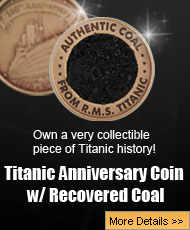 Next post: Where did the Titanic Sink?